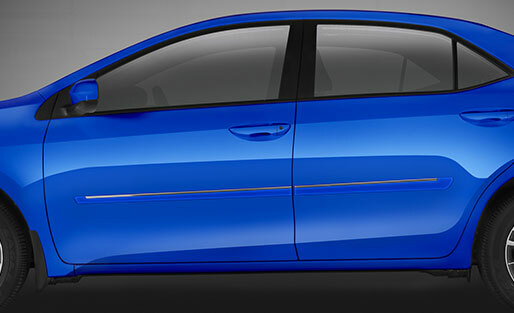 Soft curves add a sporty look to your car while maintaining its classic elegance. 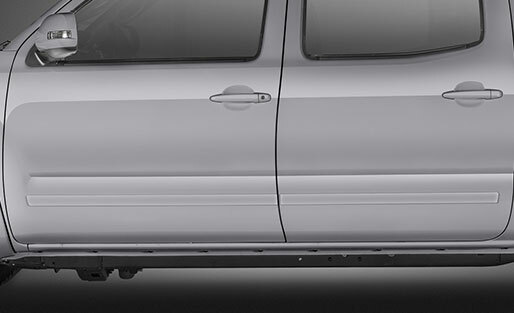 You can have the Azure series of door side moldings painted to match the color of your car, or you can have them done in glossy black for a bolder look. A chrome insert adds a subtle touch to the overall style, while a discreet black vinyl inscription of your choice completes the customization. Our famous self-healing coating is 50 times stronger than standard car polish, and it protects each and every piece of trim we produce. It's no wonder our trim has the best durability in the industry! 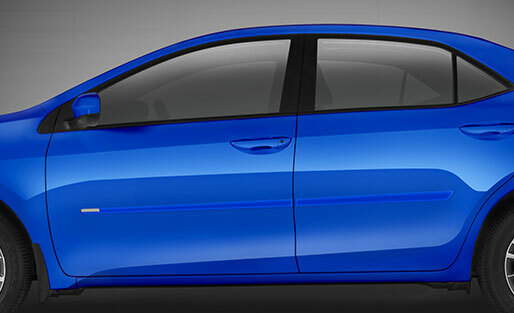 When you're looking to maintain a classic look with a little extra pizazz, the Azure C is your trim. It combines painted parts with a chrome insert to create a look that is as unique as it is subtle. Add a black vinyl logo to complete your customization. 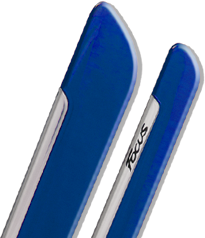 Azure C for pickups adapts to the square shapes of the vehicle with an equal width through its entire length and ends with straighter tips. 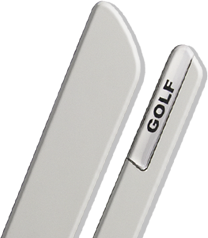 This pickup version offers painted pieces and a chrome insert that runs through the top of the molding. The embedded black vinyl inscription gives a custom finish to the product. Classic just got sportier. The Azure S is as discreet as the rest of the Azure line, but it has just a bit more pep. A chrome insert on the front end tip blends with custom painted parts to create a one-of-a-kind look. 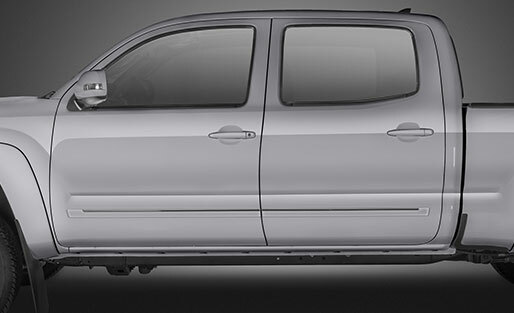 For the ultimate in customization, add a vinyl inscription of your choice to the chrome insert. Complement your pickup's squarer shapes with this variant of the Azure S line. Equal width and straighter ends conveys a sense of solidity that it synonymous with this type of truck. The Azure S can be matched to your car's original color or made glossy black. Add a large vinyl inscription to complete the personalization. 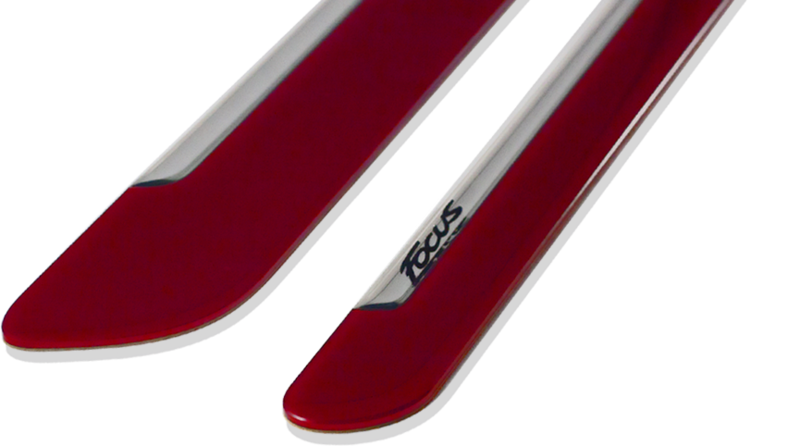 Ready to build your custom car moldings? MyCar Trim is providing top quality aftermarket products for the automotive industry. Customer satisfaction is always our #1 priority. Copyright © 2016 MyCar Trim inc., All Rights Reserved.